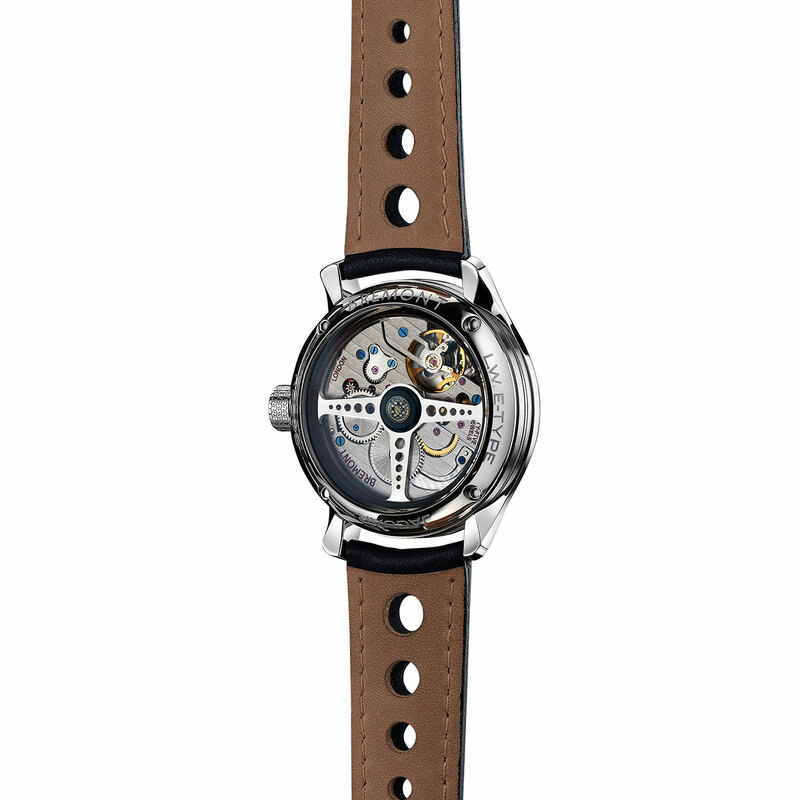 Jaguar announces further news in its relationship with the Bremont Watch Company and reveals one of six unique wristwatches to be offered to customers of the six new Lightweight E-types to be built by Jaguar Heritage. "The Lightweight E-type project is so special that we thought we really needed to create something which complemented the cars and, since most classic enthusiasts also tend to be horophiles, a wristwatch seemed to be the answer," says Jaguar's director of design, Ian Callum. 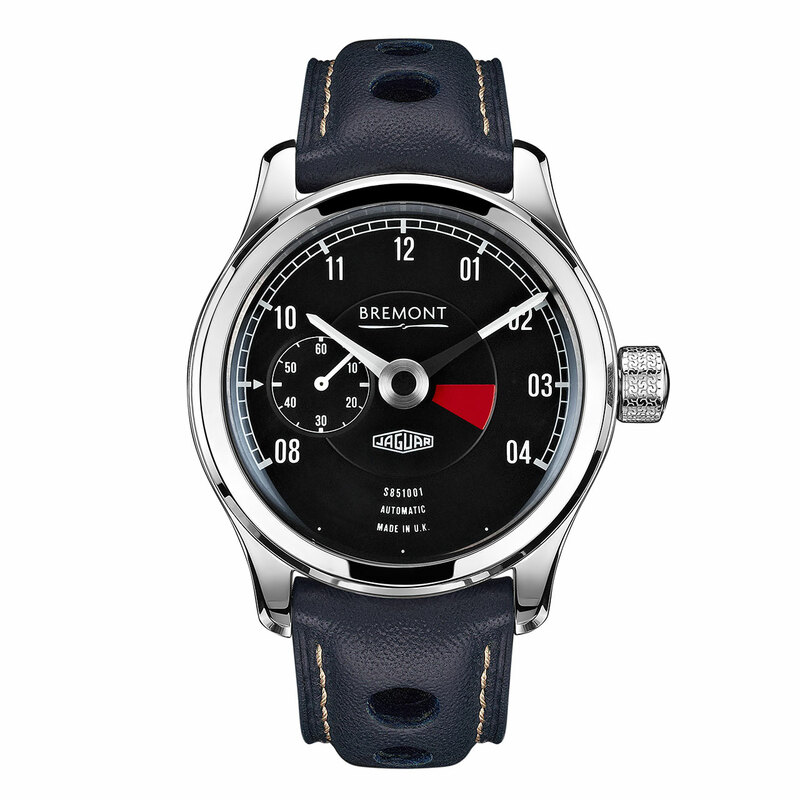 "Bremont was the obvious choice as a partner, both because we have worked closely together in the past on the clocks for the C-X75 and XJ75 Platinum concept cars and because, like Jaguar, it is a quintessentially British brand. "We have been working on designing, developing and producing our first exclusive movement for more than a year, and it seems fitting that it is going to make one of its first appearances in this very special watch for Jaguar," said Giles. "Creating the watch proved to be a fascinating project, as we were given access to the Jaguar archives in order, for example, to ascertain the exact font for the numerals used on the dial of the original rev counters. The fact that we were required to make just six examples enabled us to be very creative in a way that is not always possible when designing a watch for larger scale production - and that's why we have been able to feature touches such as using real wood for the rim of the 'steering wheel' winding rotor. Each watch is, essentially, bespoke." Drawing inspiration directly from the car, the 43mm watch features a black dial based on the look of a Lightweight RPM gauge and featuring a subtle 'red zone' quadrant. The chamfered hour and minute hands replicate the instrument's tachometer needle, while the chassis number of the relevant car is printed at the six o'clock position. Jaguar first collaborated with the Henley-on-Thames based watch company during the launch of the cutting edge Jaguar C-X75 in 2010, for which Bremont developed a unique, analogue dashboard clock in keeping with the 778 horsepower hybrid supercar's futuristic nature and 205 mph performance. The two quintessentially British firms have now reinforced their partnership following the announcement earlier this year that Jaguar Land Rover's Special Operations division would complete the Lightweight E-type project through its Jaguar heritage division. The new cars are the 'missing' six vehicles from the 'Special GT E-type' project, which originally started in February 1963 with the objective of building 18 cars. Only 12 of the aluminium-bodied Lightweight E-types were eventually built and the remaining six designated chassis numbers having lain dormant, until now. The six new cars will carry those original, historic Lightweight E-type chassis numbers. The launch of this exclusive Lightweight E-Type watch marks the start of a long-term relationship for Jaguar and Bremont. Future editions will be announced at a later date. Case: 43mm white gold case with aluminium centre ring made from material saved during Lightweight panel construction. 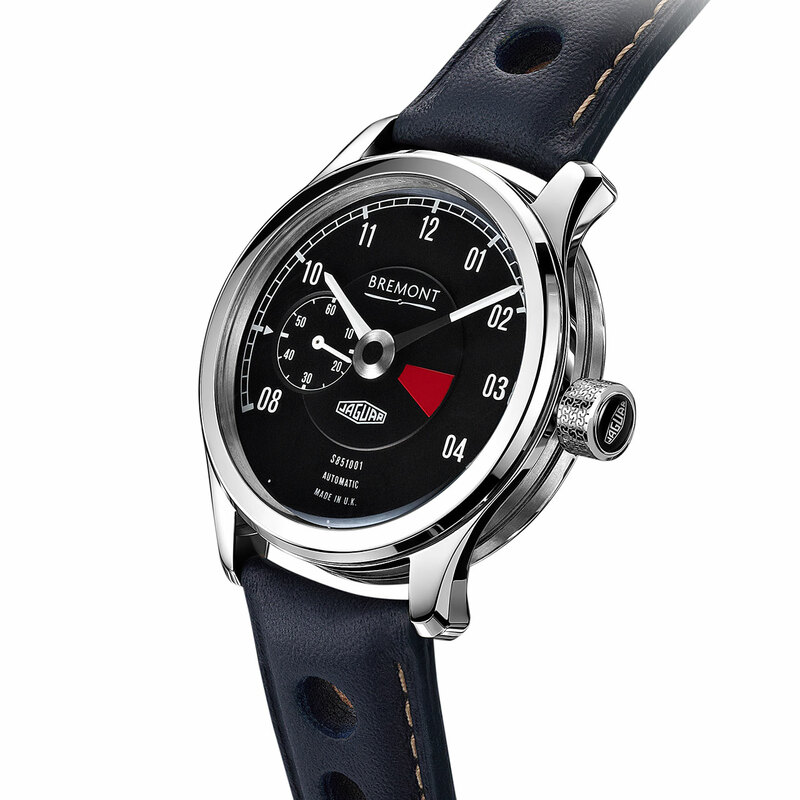 Movement: BWC/01 Bremont proprietary, self-winding movement, beautifully finished with a 50hr power reserve and fitted with ‘steering wheel’ rotor. Dial: Based on Lightweight RPM gauge and marked with car chassis number. Strap: Connolly leather, as used for Lightweight upholstery.